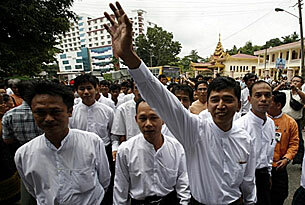 The only leader of Burma’s 2007 uprising known to have escaped custody says monks have been singled out for rough treatment. Ashin Panna Siri hid with U Gambira after the crackdown, in which dozens were killed and thousands arrested. Arrested on Oct. 18, 2007, he spent seven months in Kalay prison before he was convicted and sent to hard labor. 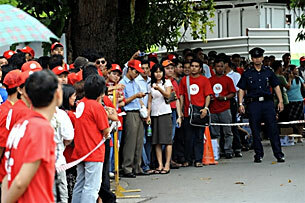 SINGAPORE: Persistent defiance of the laws, not political pressure from the Burmese government, was the reason why a number of Burmese nationals working or studying in Singapore were asked to leave when their immigration passes expired. Deputy Prime Minister and Home Affairs Minister Wong Kan Seng said this in a written reply to a question tabled by nominated MP Eunice Olsen at this week’s sitting of Parliament. 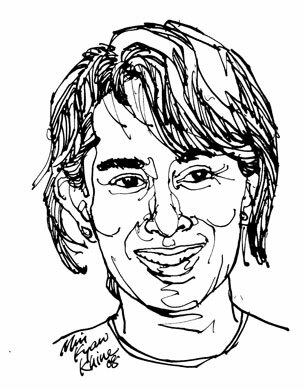 She asked if Burma’s military rulers had pressured or requested the government to clamp down on anti-junta activists and deny them residence in Singapore. In his reply, released Wednesday (17 Sept), Wong said the Burmese nationals disregarded Singapore laws by staging illegal activities, like outdoor protests, to pursue their political agenda. This was despite repeated police advice to stick to lawful avenues. Three Burmese nationals left Singapore for countries of their choice after their immigration passes were not renewed by the Immigration and Checkpoints Authority (ICA). When contacted for further details, the Home Affairs Ministry identified the individuals as being members of the Overseas Burmese Patriots (OBP). An informal grouping of activists, the OBP emerged in October last year to raise awareness about the political situation in Burma. One such activity was a street protest on 20 Nov last year during the Asean Summit. Some 40 people, carrying banners, walked down a pavement outside the Orchard Parade Hotel to voice their discontent with the junta. Citing the incident, Wong said the group intentionally protested near the summit’s Shangri-La Hotel venue to court public and media attention. Police investigated the incident and, after consulting the Attorney-General’s Chambers, “exercised leniency and administered stern warnings in lieu of prosecuting the offenders in court”, he said. Reports said the three Burmese activists who left Singapore took part in this protest. Wong said that while a vast majority of the 50,000-strong Burmese community had been law-abiding and expressed views in a lawful manner, a small group “chose to break the law and yet defiantly demand the right to stay in Singapore as an entitlement”. “They have tried to politicise the issue through the media and through uninformed foreign groups, in the process distorting the actions to remove them from Singapore as being politically motivated. Foreigners are expected to respect the laws and local sensitivities in the same way that Singaporeans abroad are obliged to do so, he said. “Some of these Myanmar (Burmese) individuals have enjoyed education subsidies and other benefits but have chosen to repay this with disrespect for our laws and to defy the authorities,” he added.